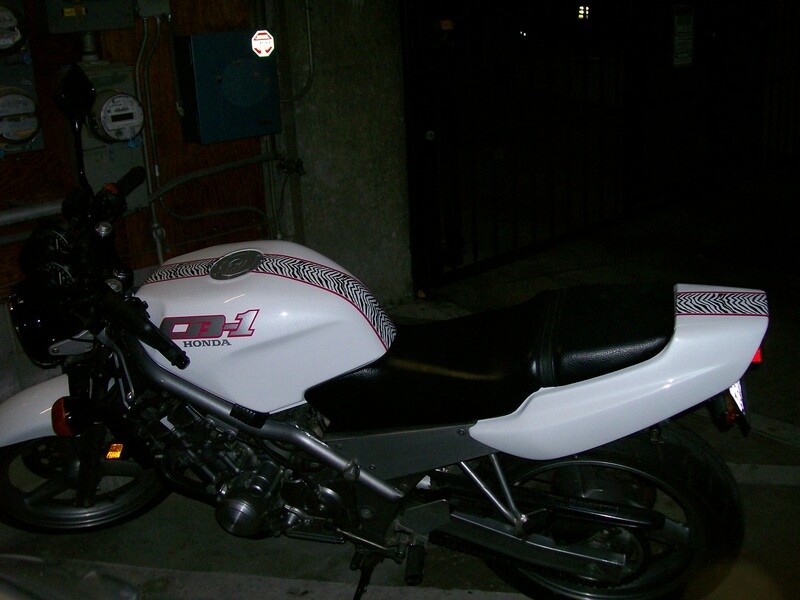 This motorcycle was given to me by my then boyfriend for Christmas. He was going to pay for the insurance, and he paid for me to take lessons. I failed the lessons the first time around; I fell and I couldn’t keep up with the pace they were teaching. I was going to go back and retake the class once I had more time, but with work and with Cinderella, it wasn’t looking like I was going to get a shot. I had wanted to learn how to ride first, and then get a bike later. I wanted to make sure I actually liked riding before I put any money into it. I had even specifically told him not to get me a bike. He put the horse before the cart, so I had a motorcycle that I didn’t have the slightest clue how to ride for about three months. Then he broke up with me last month. I’ve spent the last month trying to decide what to do with the bike. I wanted to keep it. It’s pretty. Then he said something about always being available to help me with the bike, and that freaked me out. I didn’t want it if it was going to tie me to him. I want the clean break. I want the space and time, at least for the time being. I waffled back and forth about whether I could keep the bike, and cut the strings attached, too. But then I also thought that it would be cool to learn how to do it all by myself. I thought it would be easier to learn how to ride it without all the pressure I felt from him. He’d told just about everyone about it, so I felt like they were all staring at me. It made me want to talk to the bean dip. I seriously felt like all of his friends were judging me. Not to mention all the snide remarks. “I know you want a scooter, but this is so much better, so GET OVER IT!” etc. It seemed like his whole ego was wrapped up in me riding that motorcycle, and it didn’t really have anything to do with me. Anyway, I thought I could learn to ride it, go back and take the class. Then I imagined myself pulling up in front of my local coffee shop, and turning heads with that paint job. I also imagined showing up at a bar where his friends were hanging out, just to show them that regardless of what they think, I’m never going to be a speed demon. Finally, a month after the break up, I can think about that motorcycle, and detach it from the feelings of rejection and insecurity surrounding my ex. To insure the bike myself, it would cost about $550/year. That’s not much, by insurance standards. However, I had to look at it as what would be the personal cost to me. What would I have to give up in order to pay for the insurance? What else could I spend $550 on this year? The band I’m talking with could cost me $550 this year, easily. I have my sax, but it needs some work done, and I have no idea what that will cost me. It would cover at least five and a half months of lessons. There’s also the cost of transportation and rehearsal space and what not. My mounting medical costs could also easily total $550. Actually, it’ll probably be even more. I’ve already spent $160, and I haven’t gotten the bill for the ultrasound, yet. I’m also having another test done this week, and I have no idea what that will run. This is all just for tests. Who knows what treatment could cost? That money would cover half of the new MacBook that I want, or the full cost of a MiniMac. My computer is falling apart. The CD burner doesn’t even work anymore. Plus, it’s just really old and slow. One of my favorite hobbies is this blog. So, it would take me twice as long to have a new computer. So in exchange for giving up music lessons, being able to pay my medical bills, or a computer (keep in mind, that’s just the insurance), I would get a motorcycle. So what would I do with a motorcycle, assuming I could complete the lessons or pass a test at the DMV to get my license? I don’t like the idea of riding in traffic. I never liked doing it on the back of the ex’s bike, so I know I wouldn’t use it to commute. I couldn’t get the sax on it, so I couldn’t ride it to and from band practice and gigs. So, I’d basically just be using it for pleasure trips, like when I go out in the evenings or weekends, but then I couldn’t dress nice and my hair would be a mess. So that usually wouldn’t work, either. When I really thought about it, I mostly saw myself tootling around town on the bike, and only on very nice sunny days. Really, I could get myself a bicycle for that, and i wouldn’t have to pay for insurance or gas. I see now that it was really much more about holding on to that man and that life, and I don’t have to do that any more. The motorcycle doesn’t fit my budget and it doesn’t fit my lifestyle. I just wanted to look cool on it, anyway. So, I emailed the ex earlier this week, and I told him that he should keep the bike, as he would get more out of it than I would. He never should have given it to me in the first place, and he should have known better. I’ve been accused of “rewarding bad behavior” by giving him the bike, but really, it just means that I get to let go of the last piece of emotional baggage. Besides, it’s twice as pretty to look at in the picture than it would be six months from now when I had never washed it, and I’ll look three times cooler wailing on my sax with healthy girly guts than I ever would with helmet hair.